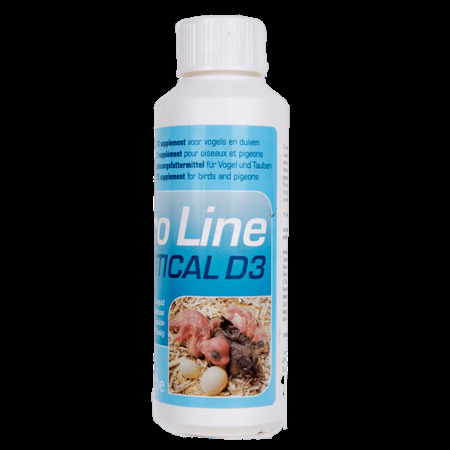 Pro LineFertical liquid calcium and vitamin D3 supplement for during the breeding and breeding season. Also suitable as an emergency solution for animals with egg-bound. 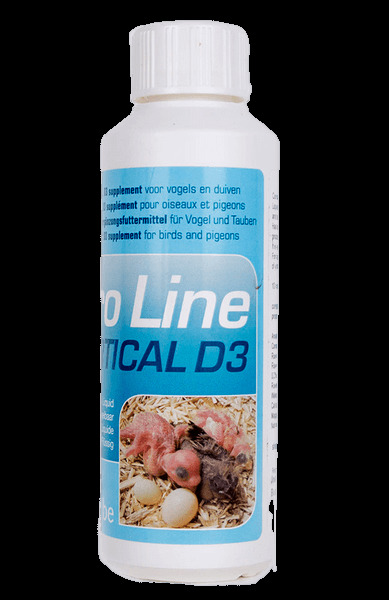 Liquid calcium and vitamin D3-supplement for breeding and growing birds and pigeons. Can be very helpful as an emergency product for egg-bound hens, but also to improve eggshell-structure. 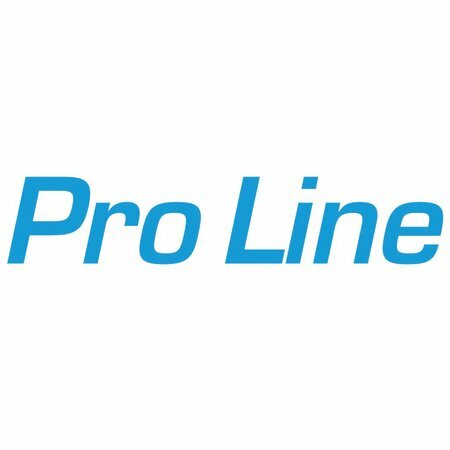 Calciumchloride, propylene glycol, calcium propranate, nicotinamide, benzaldehyd. 10 ml per 1 litre of drinking water or 10ML per 500GR food.